Orange Mate Multi Surface cleaning spray cuts through grease. 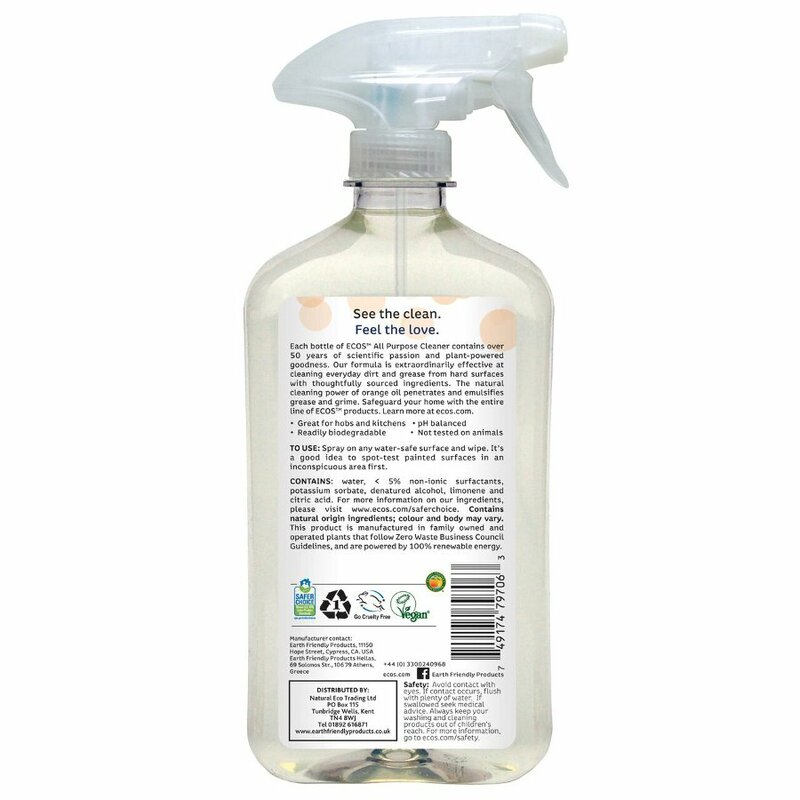 This 500ml diluted version is ready to use with a trigger spray. Great natural orange fragrance! Free from petrochemicals chlorine ammonia and formaldehyde. ECOS pledges their products are environmentally responsible work well and provide value. They never test on animals or use animal ingredients. water, < 5% non-ionic surfactants, potassium sorbate, denatured alcohol, limonene and citric acid. 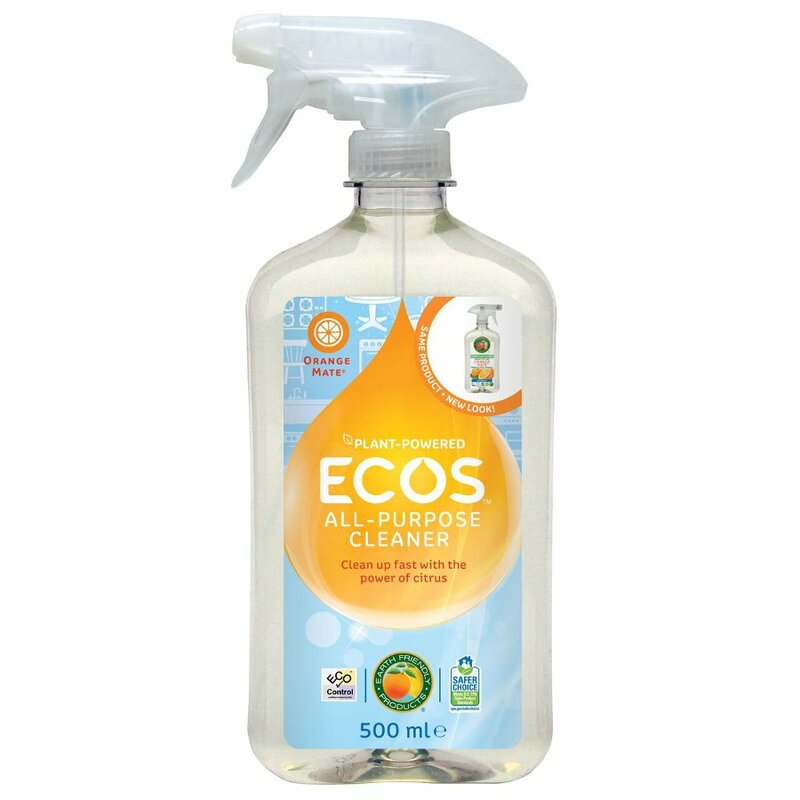 There are currently no questions to display about ECOS Orange Mate Multi Surface Cleaner - 500ml.